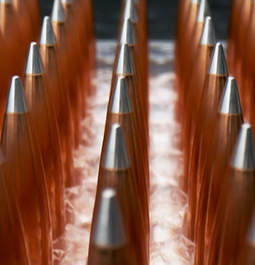 Hornady® Joins with Leupold & Stevens and Nosler to Support Congressional Sportsmen’s Foundation - Hornady Manufacturing, Inc.
Grand Island, NE - Hornady® has joined with two other legendary, family-owned American companies again this year to support the common goal of protecting and advancing the shooting and hunting sports. 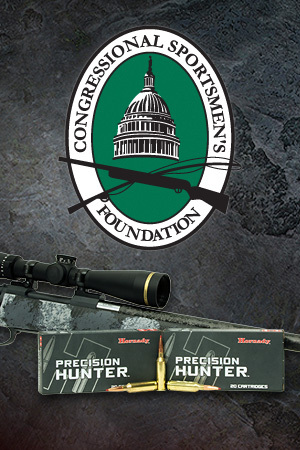 Industry leaders, Hornady, Leupold & Stevens and Nosler have combined for a prize package to be auctioned at the Congressional Sportsmen’s Foundation’s (CSF) 29th Annual Banquet & Auction on Wednesday, Sept. 5, in Washington, D.C.
Last year, the American Families Rifle Package generated $25,000 for CSF, a nonprofit organization that works with Congress, governors and state legislatures to protect and advance hunting, fishing, recreational shooting and trapping. 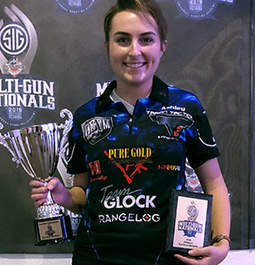 The prize package consists of a Nosler Model 48 Long Range Carbon™ rifle chambered in 6.5 PRC, topped with a Leupold VX-5HD 3-15x44mm with the Twilight HD Light Management System and 200 rounds of Hornady® Precision Hunter® 6.5 PRC 143 gr ELD-X® ammunition. The rifle, scope and ammo make the perfect combination for mountain hunting, backcountry excursions and long-range competition. 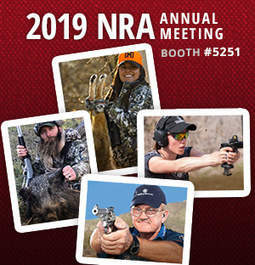 In addition to bidding at CSF’s Annual Banquet, interested parties may also submit bids via: https://501auctions.com/csfbanquet/custom/american-families-rifle-package-. All bids must be submitted by 5 p.m. EST Friday, August 31. The winner will be notified via email on Thursday, Sept. 6. Contact Dante Swallow at dswallow@congressionalsportsmen.org with any questions. "Hunting and recreational shooting are imbedded in our culture and protecting the rights of those who love outdoor sports is fundamental to our American way of life." 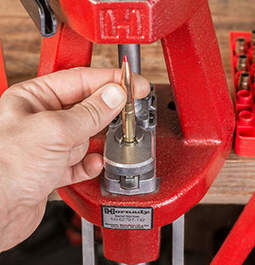 said Jason Hornady, vice president of Hornady® Manufacturing Co. "That’s why we’re not only glad to join with Nosler and Leupold to support the Congressional Sportsmen’s Foundation in its important work, we’re proud to do it too."